The C2 manual references the project file folder which contains other files other than its default. Even though files and subfolders can be created in this folder, it doesn’t automatically become part of the caproj unless it is actually specified/registered inside the caproj. Inside C2, it is possible to ‘auto-import’ files, but this only works at the root level of /Files; directories aren’t traversed, making this mechanism suitable for single files, like configuration files. However, when using the Files folder in other ways, such as replacing animation using Rex’s Animation Loader, it would be a monumental task to get all these files in. So I’ve written a Python function that traverses any given folder and writes out a block that can be copied and pasted into the caproj, which is near the end of the caproj. Perhaps in future, I will make the procedure more seamless; right now, the manual copy-paste is for security reasons. The code below is very unpolished, but gets the idea across. project folder, and have that referenced as imported files in the caproj. The output of this function is to be copied and pasted into the caproj. The class CaprojFolder represents a folder and the contents of the folder (stored in the content list). An element in content may either be another CaprojFolder object, or may be a path to a file. The caproj code snippet is written in a text file in the C: drive (!). Once this snippet is pasted over to the caproj new folders and subfolders would be created in the /Files folder the matches the one found in the file system. The only major difference is the name of the actual files, which I explain below. Though the script mimicks the file system folder structure, C2 does not use these folders as a path to the file. In other words, C2’s folders structure is purely for visual organisation within the C2 editor. The files themselves are treated as though they were in the root directory. Therefore, I opted to name the files to represent their full relative path. This file is put under /Files/hero_w/run. But it is also named, literally: hero_w/run/000.png, and not just 000.png as you would normally expect. If I had named the file 000.png, there would be no way to distinguish this 000.png with other files in other C2 File subfolders. So a unique name was necessary. As described in Rex’s own site about GridMove.Direction, this expression is only valid if the movement is to a neighbouring tile. In the Slidewalk system, however, although the construction of the Slidewalk path may be straight, the target tiles may be separated from each other for efficiency sake (ie less node paths to draw in Tiled). 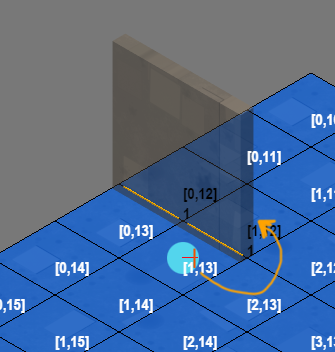 It is inefficient to ‘connect-the-dots’ in C2 by tagging the tiles that the path goes over, so I’m instructing GridMove to move to the Slidewalk target tiles that are not neighbours, This makes GridMove.Direction invalid. What I did, instead, was to do my own GridMove direction by comparing GridMove’s SourceLX/Y and DestinationLX/Y expression and generate a direction using conditions. At this point, however, the conditions assume that the nodes are positioned in a way that it follows the lines for 8 directions, as it checks how the target tile’s LX and LY are different for the source’s corresponding LX and LY. The Slidewalk system, taken from 2400AD is implemented by using several components in Tiled, and hooking them up in C2. The Slidewalk is comprised of several objects which are the children of an ObjectGroup; the ObjectGroup, in effect, is a single Slidewalk entity. What identifies an existence of Slidewalk is not the ObjectGroup, but the individual Objects which must be named starting with the prefix sw. Each Object component of the Slidewalk contains the name of the Slidewalk it belongs to. The name of the Slidewalk is the name of the ObjectGroup. A Slidewalk must always have a path. A path is a Tiled polyline. It must be named swpath. The path will later define the waypoints of the Slidewalk. The swpath Object must also contain an attribute called speed. This is the speed value of this Slidewalk. A Slidewalk must have at least one entry-only point. This point is defined by using an Object (parented under the Slidewalk in question). It must be named swin. A Slidewalk must have at least one end-only point. This point must be named swend. A Slidewalk may optionally have an exit point. This exit point may also be a potential entry point. Every point, whether it is an entry, exit, or end point, must begin with sw. Then use the keyword in to indicate this is an entry point, and the keyword out to indicate it is an exit point; these keywords may be used in the same point, such as swinout. The exit and the end points must also contain a custom property called exitdir. 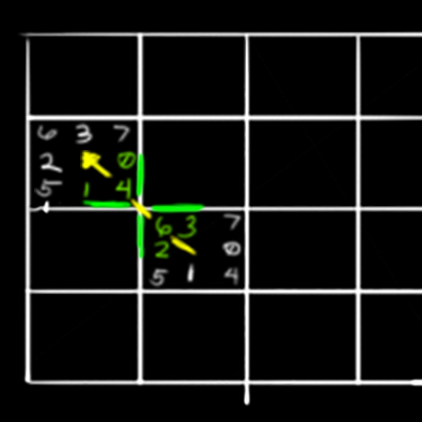 This is a GridMove direction that specifies which direction the player will move towards when deciding the exit, in order to get off the movement effect of the Slidewalk. In C2 the first step is to get the swpathObject to mark the waypoints of the MTiles. In the same procedure, they are marked with the name of the Slidewalk they belong to. The waypoint sequence index is internally based on how Tiled writes it, which is sequential anyway, so the C2 loop iterator does this conveniently. As the MTiles are being tagged as waypoints, they are being added into the InstGroup with a group named after the Slidewalk’s name, which uniquely identifies these series of MTiles for SLG and GridMove. They are added in the order they are looped, so the sequence is still preserved at this point. MTiles are then further marked with their entry/exit/end values, as well as the custom properties as inputted in Tiled. When the player moves on top of the Slidewalk, the On GridMove reach target trigger will check whether the player is on an entry point. If it is, a function called CreatePathFromIG is called whereby it takes the Slidewalk InstGroup waypoints and transfers those waypoints to the player’s own InstGroup moving path. CreatePathFromIG does something more, though: it considers the possibility of multiple entry points; it finds the MTile that the player has entered from, and starts retrieving MTile waypoints from that point until the end. Though this syntax was developed many months ago, I had forgotten to document this. 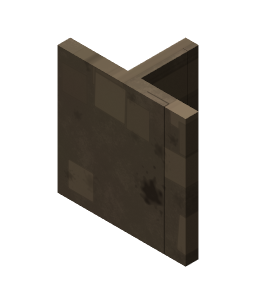 This edge definition refers to the edges that exists in any GTile tile/sprite. This obviously means that edge definition is a Tiled property of the GTile, which is then passed on in C2 to generate MTile edges at runtime. Note that a GTile refers to a graphics tile which is a bigger-sized tile. An MTile refers to a movement tile which is smaller and forms the grid of possible tiles to move to. 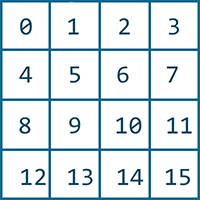 Every GTile is subdivided into equal square MTiles. Here, we introduce the edge syntax used to define those edges. 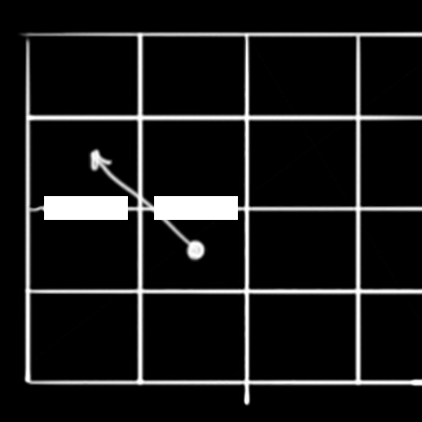 Where mtile_id is the id of the MTile that needs an edge definition (because it is neighbouring a GTile edge), and gridmove_direction is the direction where the edge lies on that MTile specified in the GridMove format. …to replace 10:3, 11:3. It doesn’t matter, as long as the same edge is not specified twice. Note that the edge definition is inputted in Tiled in its tilesheet editor. Currently, there are two Tile properties associated with edge: edge and edge4. edge was the original use, which subdivided each GTile into 2×2 MTiles. edge4 subdivided it further (4×4) giving it a maximum of 16 MTiles per GTile (this depicted in the image above). In the C2 project, only one type is used and can be interchanged or modified depending on final design choices. The basic problem is that when moving diagonally, the edges are ignored because edges only exist at the sides of the square, and not at the corners. 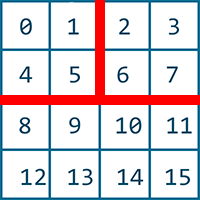 Moving across diagonally travels across the corner of the logical square, which do not have any edges. The solution to this was to query both the start tile (slg.PreTileUID) and the target tile (slg.TileUID) and from there, determine the GridMove/Board direction index that the current path was taking. Using the principal direction (let’s assume it was a diagonal value of 6 (as demonstrated in the above image), the two other directions flanking the main one was also queried. In the above image, the movement from the start tile is at direction 6. Direction 2 and 3 were derived from this by a lookup that defined two flanking direction for any given direction. Then the target tile was also queried, but this time, the principal direction was the reverse of the start tile (computing for the reverse tile was made simpler by using a lookup, although a simple modulus would have done it, too). In other words, 4 is the direction. Using the same lookup, 0 and 1 were looked up as the flanking reverse directions. Then a check is made against existing edges: are there any edges on the 2 and 3 directions of the start tile? If so, movement cost is BLOCKING. If not, then check the target tile’s 0 and 1 direction edges if they exist. And if they do block the movement. The method used in determining the principal direction was simply comparing the logical X and Y positions of the start and end tiles.